Vladimir Putin’s recent article published in business daily Vedomosti has experts guessing at the prime minister’s intentions. In the opinion of New York Times columnist Thomas Friedman, Russia has failed to learn from the world economic crisis by continuing to rely on a resource-based economy. 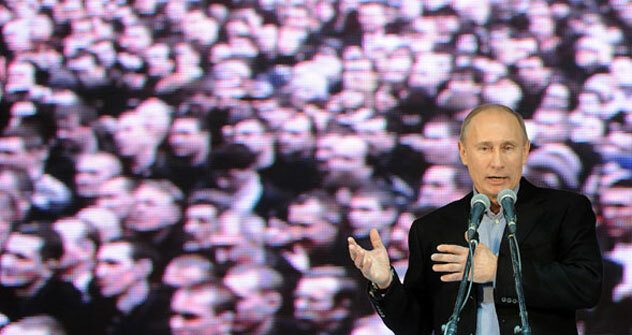 His comments were echoed in Russian Prime Minister Vladimir Putin’s recent op-ed in business daily Vedomosti. Putin admits that the Russian economy needs to be reformed as soon as possible in order to meet global challenges and not fall behind the West. Putin discussed a set of problems for Russia’s economy, ranging from the country’s lack of innovative technologies and unfavorable investment climate to the low participation of Russia’s population in the country’s capital markets and domestic investment. In addition, the prime minister proposed reducing the government’s role in economy by 2016 and partly privatizing some state companies that deal with technology and innovation, such as Rosatom and Rostekhnologii. He also proposed cutting the presence of Gazprom in economic organizations outside the gas industry including the media. Although his initiatives sound reasonable, some Russia experts doubt Putin’s words are anything more than PR related to his presidential campaign. Yegeny Minchenko, head of the International Institute for Political Expertise, believes that Putin’s article is reminiscent of President Dmitry Medvedev’s previous proposal for reforming the economy. “Ninety percent of Putin’s rhetoric sounds like Medvedev’s ideas, ” Minchenko said. “Of course, it is difficult not to agree with it, but the question why all these goals, when announced, haven’t been implemented [since Medvedev’s inauguration] remains unanswered.” Particularly, Minchenko mentioned the anti-corruption campaign launched by both Medvedev and Putin which gave no any noticeable results.